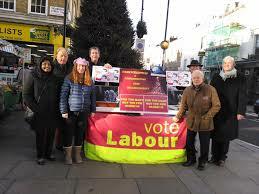 “We urge Westminster City Council to prioritise the protection of irreplaceable heritage, and the rights of both residents, neighbours and low-income residents of the borough, by applying national and your own local policies to refuse the current application which proposes irreversible damage to Dolphin Square. Dolphin Square is a historic and iconic building located by the Thames in Pimlico, a Conservation Area in its own right and adjacent to two further conservation areas. 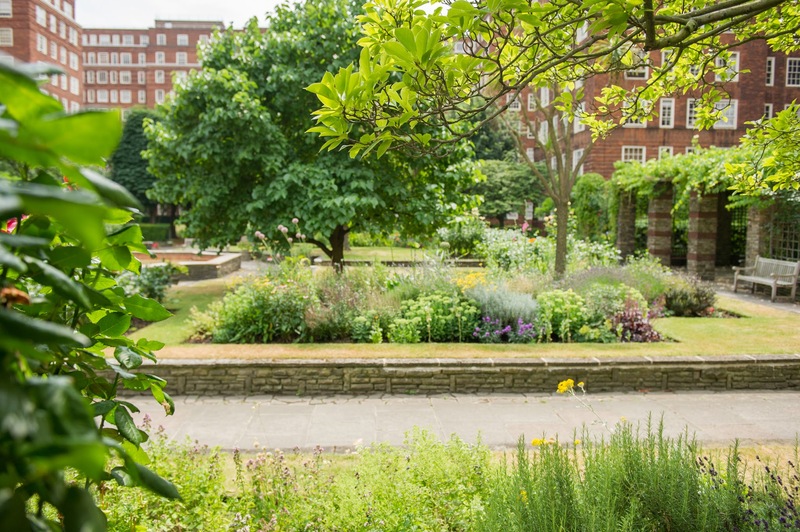 The beautiful gardens were recently listed Grade II. Its owners, Westbrook Partners, have filed a planning application to demolish the 6-storey northern block and replace it with a 10-storey building and add one floor to the remaining buildings. Most of the redevelopment is for hotel and short-term letting use and not to provide long-term housing for locals which is so desperately needed in Westminster. 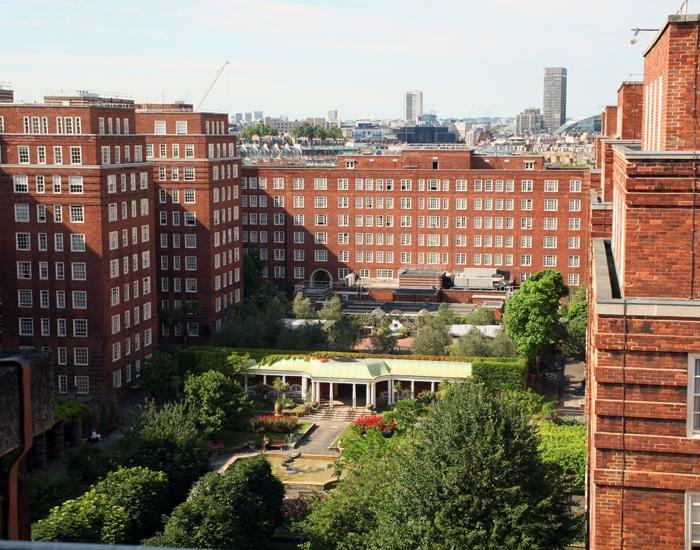 If the plans are approved, the northern half of the listed gardens will be lost and replaced with a modern design to accommodate the new building and two huge deep basements providing facilities for the hotel. Also, the famous art-deco shopping parade will be demolished. We have asked the Planning Department to investigate inappropriate works to the paved areas of the listed Lillington Gardens Estate undertaken by City West Homes which it is alleged damage the original brickwork paving outside Longleat House within the Conservation Area. More than 100 objections have been registered on the Westminster planning portal against Westbrook’s proposals for Dolphin Square. The plans will result in the demolition of a building recorded as being of merit, the loss of an historic Grade II listed garden, the almost doubling in size of the Dolphin House hotel with the result of a great increase in short-term accommodation contrary to council policy, increased traffic congestion, and the loss of a public parade of shops in a residential area. We have asked City West Homes to fix the problem of rain pouring into the communal corridor in Joseph Conrad House.This situation has been seriously affecting some residents since August 2016. Apart from affecting the health and wellbeing of those who are seriously affected, it is also making a number of residents who live in Joseph Conrad House feel very vulnerable. We have reported a number of housing repair issues to City West Homes from residents of Joseph Conrad House, Parkinson House, Forsyth House and Wisley House. After examining all the records and other relevant information and having carefully considered the architectural and historic interest of this case, the criteria for registration are fulfilled. The courtyard gardens at Dolphin Square merit registration at Grade II. Thanks to the Labour Action Teams in Vincent Square and Tachbrook Wards, a serious hazard to pedestrian cyclists, caused by scaffolding erected on the pavement, has been removed. “Please see attached photo of the scaffold outside The White Swan on Vauxhall Bridge Road. Pedestrians are being forced into the cycle lane as you have shut the footway with barriers. The scaffold should be 450mm back from the kerb line and I notice a piece of scaffolding extending out over the cycle way. A leaflet circulated by Tachbrook Conservatives this week shows they have abandoned Dolphin Square residents and have caved in to Westbrook’s plans for a massive redevelopment. The Conservative leaflet claims that Westbrook are “almost certain” to get permission for their plans to demolish Rodney House and build a massive 9 storey block at the back of Dolphin Square. This is long before the Council’s planning officers have even completed their analysis. “The Conservatives would have you believe the fight is already over, and residents have lost. The reality is that they are refusing to fight for Dolphin Square and misleading residents by suggesting Westbrook already have permission when they do not. Dolphin Square is a ‘building of special interest’. How can the demolition of the whole of the north side be allowed to go ahead? The unique character of Dolphin Square will be lost for ever. How can residents be expected to live in a building site for five years? The noise from the building work would be unbearable. Dolphin Square used to offer flats at moderate rents for those working unsocial hours in central London. The new plans include just 8 small houses at affordable rent and all the rest at market rent. We are helping residents in Henry Wise House and Stourhead House with problems they are having with City West Homes. We strongly oppose the Westbrook plans to destroy Dolphin Square. The plans are contrary to Westminster’s Unitary Plan policy which opposes the development of short-term let residential property. If elected on 3rdMay we will not support the Westbrook plans and will work with residents to defeat the Westbrook plans for Dolphin Square. “The Twentieth Century Society strongly objects to this application which will cause harm to the significance of the Dolphin Square conservation area. 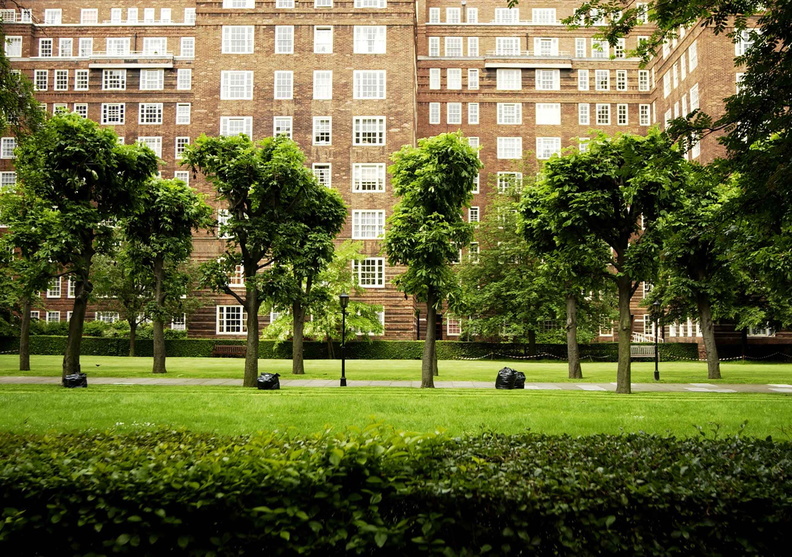 The Society considers Dolphin Square to be of substantial historic and architectural significance. Dolphin Square is an impressive example of a type of large scale urban living which was pioneering for its day. The self contained nature of the development, the first in Britain, continues to be unusual. The building is remarkably intact, still displaying a subtle 1930s charm. The proposals will irrevocably damage its heritage significance. We have asked City West Homes to take urgent action in a number of flats, including one where a very elderly resident has had consistent floods and water ingress with some sections of her flat without electricity for several years. She has buckets and bowls with water coming through into her bedroom, living room, stairwell, second bedroom, and previously the kitchen and bathroom. Whilst in her flat there was water coming through the ceilings in three rooms. There are no lights on her internal or external stairs and also her doorbell has been cut off due to the floods. Window cleaning. This seems a common problem which people have spoken about. The way the windows open makes it impossible to clean them from the inside so a cherry picker may be necessary. CityWest Homes used to arrange for pensioners to have one room redecorated every two years. It now appears the service was ceased without letting tenants know, let alone consulting with them or offering them other suitable options. The concrete ceilings in the hallways have discoloured and have, in parts, ugly leakages and water stains running along them. The rusty colour may be leaching from the concrete itself or iron oxide from pipes on the external visible beams above the walkways. We have asked Peabody to upgrade the communal aerial at Harvey House. We have asked City West Homes to inspect a house in St George’s Square where water penetration is causing problems for adjacent properties. We have also asked Peabody to take action about fire safety in another house in St George’s Square. We have contacted Peabody on behalf of residents in Abbott’s House regarding damp. We have contacted Peabody regarding housing problems being experienced by residents. If you do not want to receive this report please unsubscribe below. The planning application is contrary to Westminster Unitary Plan policy H2 which opposes the development of short-term let residential property because of the acute shortage of full-time residential accommodation.The planning application seeks to increase the number of serviced apartments from 124 to 205 serviced apartments, almost double the existing. Nowhere in the planning application is the Use Class C1 referred to, despite the serviced apartments in the Dolphin House hotel clearly falling into this category since they are available by the night as apartment hotel units. The proposed new building to replace Rodney House will be out of scale with the surroundings and will interfere particularly with the easterly view of the listed terrace in St George’s Square and St Saviour’s church. The plans seek to replace the internal Dolphin Square shopping arcade with large retail units along Chichester Street which will have a profound adverse effect on the character of the Conversation Area. Also, the shops are likely to attract mainly secondary food take-away outlets due to the general retail shopping downturn. This will have a negative effect on the Conservation Area and provide unhealthy food facilities for children attending Pimlico Academy on the other side of Chichester Street. 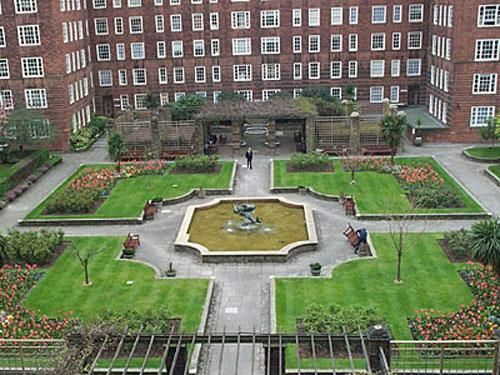 The Dolphin Square Gardens are already used by residents from the Pimlico area as there are no locked gates, except late at night. For Westbrook to claim that making the gardens ‘public’ would be a gain to the community is clearly false. We are helping residents in Malcolmson House housing issues and have written to Peabody. “Westbrook’s proposal does nothing to increase the availability of affordable housing in Westminster. 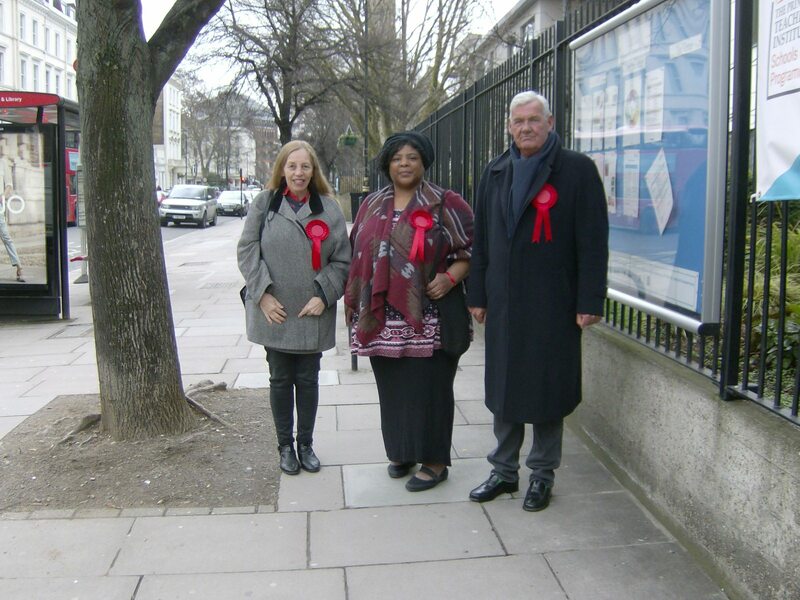 For the duration of the works, which are almost certain to exceed the 5 years projected by Westbrook, the health and well-being of Dolphin Square residents, residents of neighbouring housing and pupils and staff at the Pimlico Academy, is likely to suffer. We asked City West Homes to replace a broken door in Joseph Conrad House and clear up rubbish dumped on the stairs. We have written to the Council to register our objections to the Westbrook plans for Dolphin Square. “Back in 2016 part of Upper Tachbrook Street, from Longmore Street to Vauxhall Bridge Road, was changed to one way to stop it being used as the overflow from the taxi rank in Vauxhall Bridge Road. This was causing serious problems in Upper Tachbrook Street as the taxis were double parking. We still have lots of vehicles driving the wrong way into Vauxhall Bridge Road, including the taxis who must know by now it is a one way street, but the taxis are now causing a different problem. When the taxi rank that run along Vauxhall Bridge Road is full, which it often is, they wait with their hazard lights on along the red route either side of Upper Tachbrook Street. Please see photos attached. The traffic travelling towards Victoria from Vauxhall Bridge is suddenly reduced to one lane because of the taxis parked up. All traffic, buses, lorries, cars, vans and cyclists all have to indicate and try to move out to drive around the parked taxis. Is it not illegal to stop on a double red route? If Labour wins the Council, we will create a new type of affordable housing – Westminster Key Worker Homes. We will commit that, in addition to social housing, all new affordable housing built on council land will be at rents that are affordable to residents on average and below average incomes. We will ensure that these homes are focused on providing opportunities for long-standing residents of Westminster and key workers such as nurses, teachers, firefighters and the police. “Residents in at least Priory House have had no hot water since Monday – in this cold spell. As an engineer from DJ Higgins was around on Tuesday morning and said it would take a couple of days to fix, I believed him and didn’t chase up. Then we get a letter, saying the water would be shut off on Monday! Trying to get an update on progress this morning: I have rung repairs (who never know anything), emailed the person who sent the letter who said he would get back to me, then received a call from DJ Higgins to tell me the water would be turned off on Monday (they knew nothing about my query)! It is impossible to speak to anyone who knows anything (we would at least have received an update from the former estate office). “The exhibition shows plans for a colossal make over of well built Dolphin Square. It is in not at all the lesser redevelopment, explained by Westbrook to residents last August so that restoration work on the plumbing and windows could be carried out. Dolphin Square is a conservation site and a ‘building of special interest’. How can the demolition of the whole of the north side be allowed to go ahead? There is a great outcry by residents and by neighbours at the planned demolition of the special 1930s Arcade with its shops. How could tenants live in what will be a building site which it is said will continue for five years? The noise from building work is unbearable in this concrete and steel building. The Spanish garden will be swept away with loss of light and sun. The 3 and a half acre garden is to be totally reconstructed. The garden will be overshadowed by adding yet another floor to the nine storied houses. The planned extension of Rodney House will also encroach into the new garden. There is no extra acre of garden as publicised by Westbrook. St George’s Square neighbours are extremely worried by yet more building on the roof overlooking their flats. Why should Westbrook take away from the residents the supply of high quality water from the four artesian wells, which has always worked so well? We are helping residents who are having problems with heating and hot water. “Members of the local housing team have attended Henry Wise House to inspect all of the bin chute areas and speak to the local cleaner. Any refuse left out of the chutes has been removed and placed in the appropriate bins in the chambers and the removed hopper head has been replaced. “The current contract for the gardening services on Lillington and Longmoore Gardens estate is due to expire in June 2018. We wrote to residents in September 2017 advising that the project to re-let the cleaning, grounds maintenance, security and concierge contracts had started. Residents were also invited to a number of drop-in sessions. The repairs service is a joke – it’s taken eight months to repair a blocked drain that was affecting several flats. We were promised better service with Morgan Sindall but it is a shambles. There seems to be no monitoring of what contractors carry out, which is often as little as possible. There is a long-standing and great problem with water penetration in my block, along with much of the estate I believe, but City West refuse to take even the simplest preventative action (like clearing the drains) causing great distress to residents and surely long term damage to the structure of the building. “As residents of Pimlico, we urge you to ensure that the Planning Department of WCC upholds the spirit and terms of the Westminster Area Conservation Audit of 2008. Dolphin Square is a unique and historic building, core to the fabric and character of this area of Westminster. “For some time now, there have been a number of incidences of random dumping of materials both inside and alongside our communal refuse bin. This is a bin hired for the sole use of Clarion House residents and is sited on our private driveway. It is for Clarion House residents only. The bin is unlocked and therefore we cannot police who is using it from the surrounding area. We did at one point have a bin key for residents use but the bin was replaced. The Council operates Handyperson Service with 2 handypersons working across the borough supporting residents across all tenures including City West Homes. It is a FREE service to anyone over 60 or for those under 60, on a disability benefit. There is a £50 allowance for essential materials and residents are only able to use the service twice in any 12 months. It is not an emergency service but can tackle those little jobs around the home that older people can struggle with from changing a light bulb to putting shelves. Home safety such as smoke detectors, grab rails, removing trip hazards. Minor electrical work such as replacing broken sockets, switches and pull cords, replacing fuses. Home energy efficiency – draught proofing, fitting low energy light bulbs. General repairs and other minor jobs – moving furniture, small carpentry jobs, easing sticking doors, fixing curtain rails, hanging curtains, lowering shelves, putting up shelves. What works are not covered? The number to call to arrange the appointment is 0207 641 8959. We are supporting residents who are opposed to Westbrook’s redevelopment proposals for Dolphin Square. The scheme proposes the complete demolition of Rodney House, the whole block on the northern side of the square, which comprises the Dolphin House apartment hotel, a number of residential flats, the residents’ shopping arcade. the letting offices, the hotel reception, the Westbrook first floor management offices, the swimming pool and associated gym complex with squash courts etc and the whole of the Spanish garden at the rear. Westbrook proposes to replace the Rodney House building with a huge new block which is much deeper and three stories higher. In addition, the shopping arcade will be replaced with shops opening out to Chichester Street. Westbrook intend to replace the Rodney House block with serviced apartments rather than residential apartments and operate them as a new apartment hotel. There are no plans for more affordable housing, despite the scale of the proposals and the increased commercial content. Another part of the plan is to add an additional floor to all of the remaining buildings in Dolphin Square, which will lead to an over-scaling of the height in relation to the surrounding buildings of the conservation area. Dolphin Square sits on a seven-acre site and comprises a total of 1,200 apartments occupying a built area of around 1 million square feet. Of these apartments, roughly 200 are held under protected tenancies. Around 100 apartments form part of the apartment hotel, called Dolphin House, within Rodney House. The building was the largest apartment complex in Europe when it was built in 1937. It is still the biggest single apartment complex in the UK.